*AdvaCare Flavomycin Premix are GMP certified. **AdvaCare Flavomycin Premix are manufactured in our facilities located in China, India and USA. AdvaCare is a GMP manufacturer of Flavomycin Premix. Flavomycin is a performance enhancing antibiotic used in animal nutrition. Flavomycin can improve the digestion function of energy and proteins to thin the lining of the intestinal tract and improve nutrient absorption. 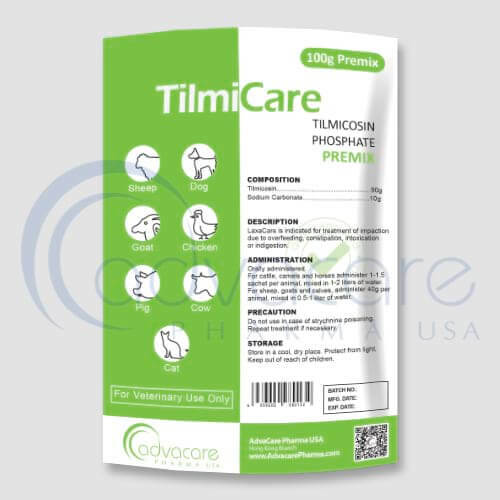 The drug can effectively prevent the synthesis of carbohydrates and proteins and decrease irritability by establishing a balance between groups of intestinal flora and maintaining the stability of the PH. It promotes the growth of poultry and livestock improves the conversion rate of food. It is used to improve weight gain and feed efficiency in poultry, pigs, cattle and other animals. Flavomycin has also been shown to decrease the frequency of transferable drug resistance in Gram-negative enteropathogens and to reduce the excretion of pathogenic bacteria such as Salmonella in pigs, calves and chickens. Moreover, Flavomycin reduces the number of animals carrying pathogens at the time of slaughter. 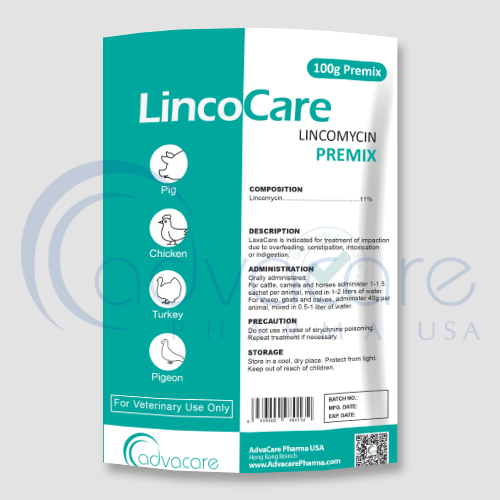 As with any veterinary medicine, side effects may occur when using Flavomycin Premix. Always consult a veterinarian or animal care specialist for medical advice before use. No side effects have been detected yet. If you notice any serious side effects or other effects not mentioned on the package, please inform your veterinarian. If any of the symptoms persist or worsen, or if you notice another symptom, seek immediate medical attention. Calways consult a veterinarian or animal care specialist before using the flavomycin premix. If the problem does not improve or worsen, call a veterinarian or animal care specialist. Flavomycin is not intended for human consumption. The usual dosage is 1 to 2 g per ton of feed for broilers, 2 to 4 g per tonne of feed for growing hogs, and 1 to 2 g per tonne for growing turkeys. Do not exceed the recommended dose and complete the entire treatment, as early withdrawal may lead to recurrence or aggravate the problem. After administration, flavomycin is rarely absorbed and not metabolized by livestock. After 24 hours, the droppings are almost completely unchanged. It can promote livestock growth and increase the food reward as a food additive. Do not mix or use foods containing other antibiotics or growth factors simultaneously. Consult an animal care specialist for any other medication the animal has taken and its medical history prior to treatment with flavomycin premix.